Duchenne is the most common fatal, genetic childhood disorder, which affects approximately 1 out of every 5,000 boys each year worldwide. Duchenne is the most common fatal, genetic childhood disorder, which affects approximately 1 out of every 3,500 boys each year worldwide. After a period of grief and mourning, we managed to gain the strength and courage to learn about Duchenne and meet other Duchenne families. For the first time, there have been some scientific breakthroughs which give us hope. We decided to turn adversity into strength. Currently, Alexander is a curious and sweet-natured 12-year old boy who loves being with friends and family. He enjoys playing video games, and has a passion for football and basketball. He has a deep love of sports, even though he cannot play them. His enjoyment in watching them and pretending to be a commentator, satisfies his interests. Alexander has a special gift, whose continuous bright smile attracts all who meet him. Despite Duchenne stealing his “footsteps,” he never complains and he never asks “why.” He has taken his reality and taught us the lesson that life is unexpected and fragile, and it is up to us to find the joy in each moment and appreciate the life we have been given. 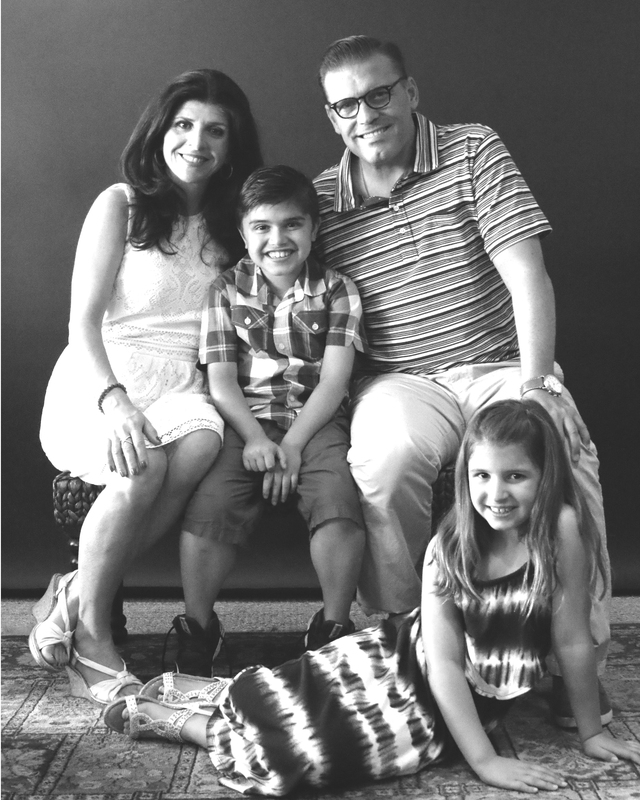 Duchenne parents are living on a time clock. As most parents make plans and look forward to their children’s future, Duchenne parents, fear the future. We fear what lies ahead for our boys. The time is now for breakthrough treatments for these boys. This generation has the opportunity to be the first ever survivors. We founded Walking Strong to solidify our determination and commitment to Alexander and all Duchenne boys, to help them thrive and be hopeful that their footsteps never end. We hope to keep these boys walking strong, as we continue to walk strong for all Duchenne boys and their families. as physically active as his peers. After trying physical therapy, we were advised to have our son genetically tested, and then our nightmare began. Our son was diagnosed with a fatal disease: WITH NO CURE. WALKING STRONG has proudly donated over $200,000 to the Center For Duchenne Muscular Dystrophy at UCLA and a research project at the Center for Gene Therapy at Nationwide Children’s Hospital in Columbus, OH. Both centers have numerous laboratories working on ground-breaking and life-altering, scientific research as well as hosting numerous clinical trials. 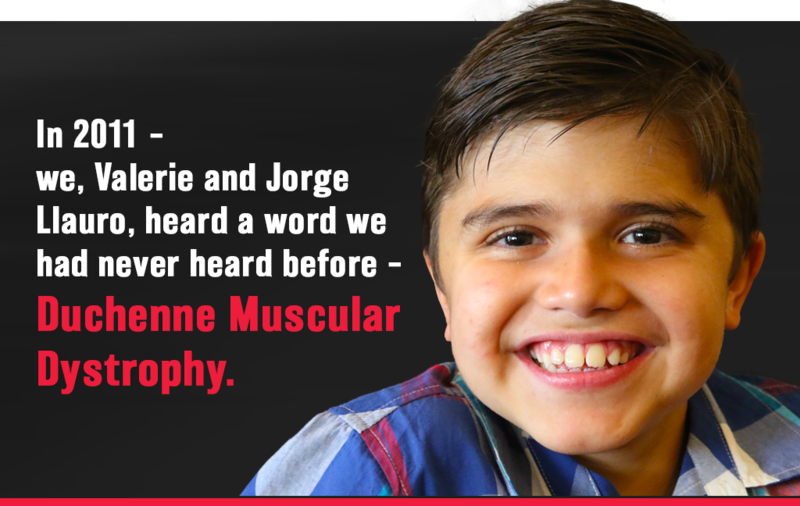 Duchenne is the most common fatal, genetic childhood disorder, which affects approximately 1 out of every 5,000 boys each year worldwide. It currently has no cure. Diagnosis occurs around 3 – 5 years of age, usually the first sign is muscle weakness and large calf muscles. The Duchenne gene is found on the X- chromosome and occurs mostly in boys which progressively degenerates all their muscles over time including the heart and the lungs. It is carried through the mother and often times is a spontaneous mutation and does not run in the family. Duchenne does not discriminate and occurs within any racial, ethnic or economic background. Duchenne Boys make little or no Dystrophin protein which is responsible for muscle strength and function. Most Duchenne boys are in a wheelchair between 10-12 years old. Duchenne is associated with respiratory failure, heart failure, and debilitating orthopedic complications. Most Duchenne boys don’t live past their late twenties. Many of the vital needs of Duchenne boys and their families are not covered by health insurance such as: Power wheelchairs, specialty scooters, night splints for their legs, specialized physical therapist, in-home needs for adaptability such as ramps and stair lift, as well as a handicap accessible van. In September of 2016, the first ever drug for Duchenne was approved in the U.S. by Sarepta Therapeutics. This exon-skipping drug will help 13% of the DMD Population. The circumstances of the approval at the FDA were highly unusual, and included sharp internal protests that were ultimately overturned. Steroids is the only therapeutic drug prescribed for 100% of Duchenne genetic mutations in order to provide strength and help to slow the progression of the disease. It is no way a cure, and has many long-term side effects. In February 2017, the steroid drug called Emflaza was approved in the U.S., so parents no longer have to order this superior steroid to prednisone, from the U.K. Some boys need surgery to release the tight muscle in their leg as well as spinal surgery in their early teens. For the first time, there are numerous clinical trials taking place with promising therapeutic treatments for Duchenne including the ground-breaking gene therapy trials. Over 42 biotech and pharmaceuticals have aligned with the Duchenne community in advancing efforts towards therapies to treat Duchenne. For the first time in history, there are treatment drugs in the pipeline and clinical trials are happening. Duchenne will not be cured with one therapeutic approach. It will be a cocktail of treatments to dramatically slow the progression of the disease in hopes of making it a chronic illness. Exon-Skipping: Exon skipping is a way to help make the genetic code readable again, allowing the body to make a shorter form of dystrophin that still works but is mutation specific. Clinical trials are on-going for two different exon-skipping drugs for the most common mutations which is skipping Exon 51 which is around 13% of the DMD population. Gene Therapy: Gene therapy approaches offer the possibility of delivering a functional copy of the dystrophin gene to muscle cells where it could restore production of the dystrophin protein. Dystrophin replacement – Duchenne muscular dystrophy is caused by mutations in the dystrophin gene which contains the instructions for making the dystrophin protein- an important component of the structure of muscle. It is thought that another protein called utrophin may be able to compensate for the lack of dystrophin in boys with Duchenne muscular dystrophy since both proteins are structurally similar and appear to have very similar functions. Walking Strong proudly has an assistance program that helps Duchenne families with their over-bearing medical needs that are most often not covered by insurance. To date, we have provided families with life-changing items such as: a handicap accessible van, hoyer lifts, in-home ramps, alternative therapies, medical travel expenses and on-line training courses for older Duchenne teens to help provide them with a career. Your donation keeps us and all the families with Duchenne, Walking Strong. 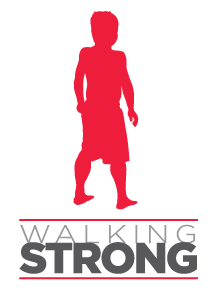 Walking Strong is recognized as a public charity under Internal Revenue Code section 509(a) and has 501(c)(3) status. Donations to Walking Strong are deductible. Donors should consult their tax advisor for questions regarding deductibility. Thank you for joining us in the fight against Duchenne. Together, we can truly make a difference in improving the lives of those affected and give strength so that every boy diagnosed with Duchenne continues Walking Strong. WALKING STRONG’S Board of Directors represent leaders in the forefront of their fields in film, media, legal, financial, and advertising.